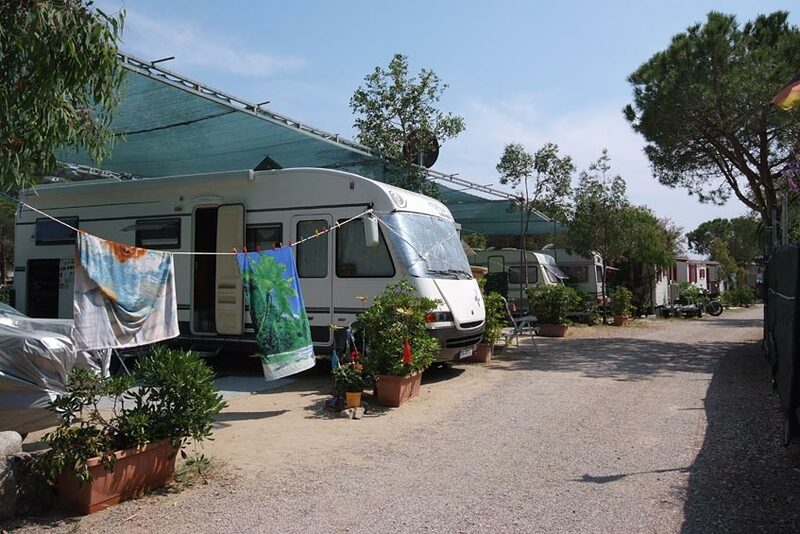 The Camping del Mare is in the perfect place for sea lovers: it has direct access to the long, golden sands beach facing the bay of Marina di Campo; thanks to its conformation, it is sheltered from almost all the winds, so the sea is always very calm and perfectly safe to swim in; and last but not least, the water is crystal clear. 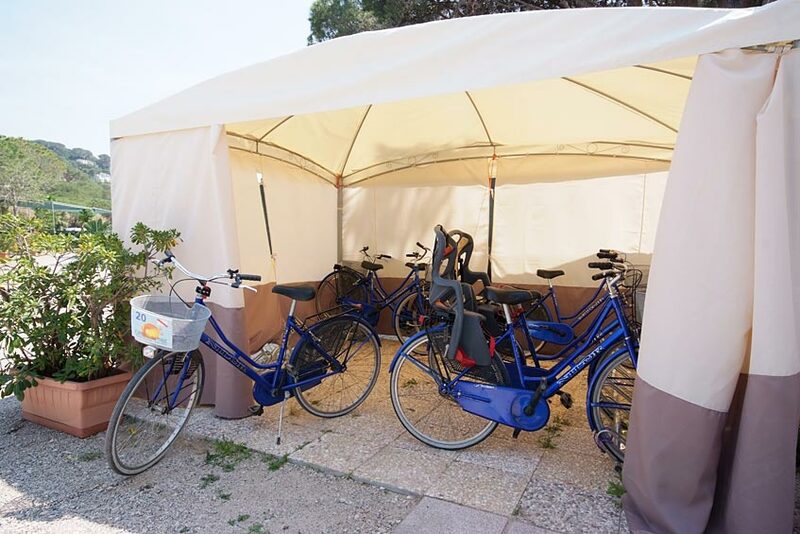 Since the campsite is on the furthermost part of the eastern side of the island, guests have the choice of either the sandy beach or the nearby cliffs that lead to both Ischia and Fonza, two beautiful inlets that are very quiet even in peak season. 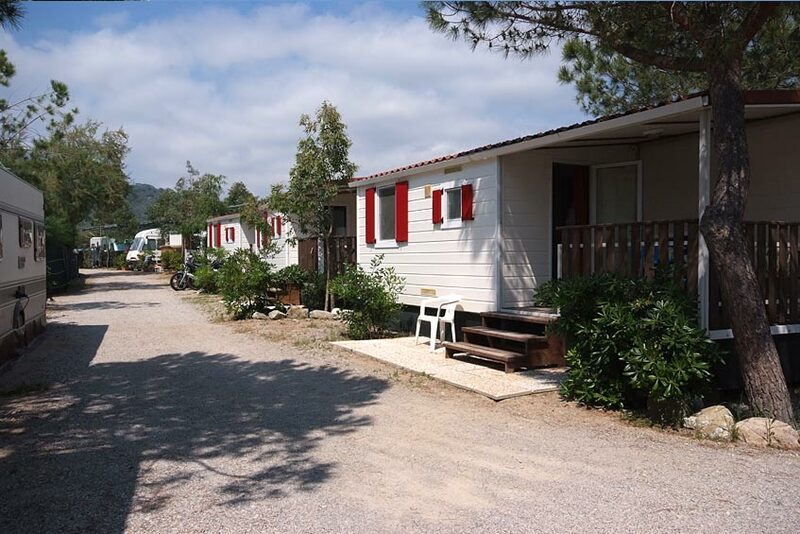 Once at the campsite, there are several choices of accommodation: the typical plots for tents and campers, where you can refill your water tank and dispose of refuse water, or our 2 and 3-room bungalows (that sleep up to 4+2 people), all fully fitted and very comfortable. 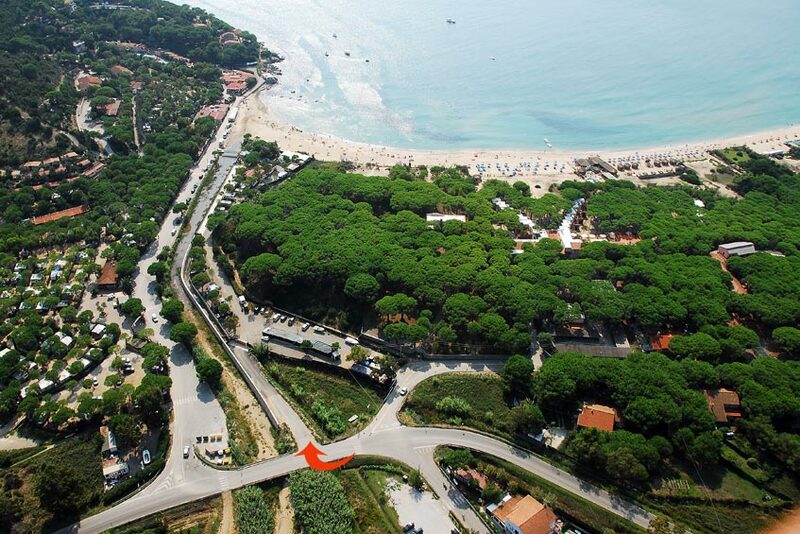 Even during the low season the town of Marina di Campo on the opposite side of the beach is very lively, and has a wide choice of shops, restaurants, bars and supermarkets. 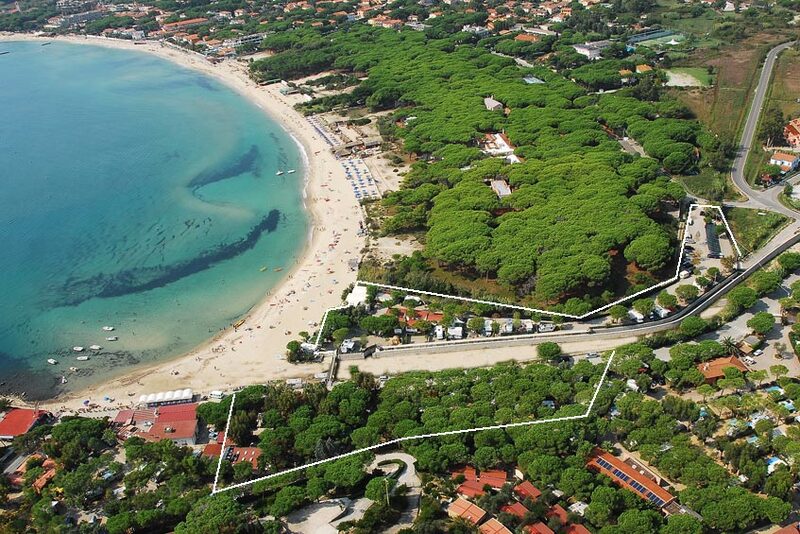 You can get there either on foot or by bike in just a few minutes by following the road next to the small pine wood, or if you prefer, simply by walking along the beach. 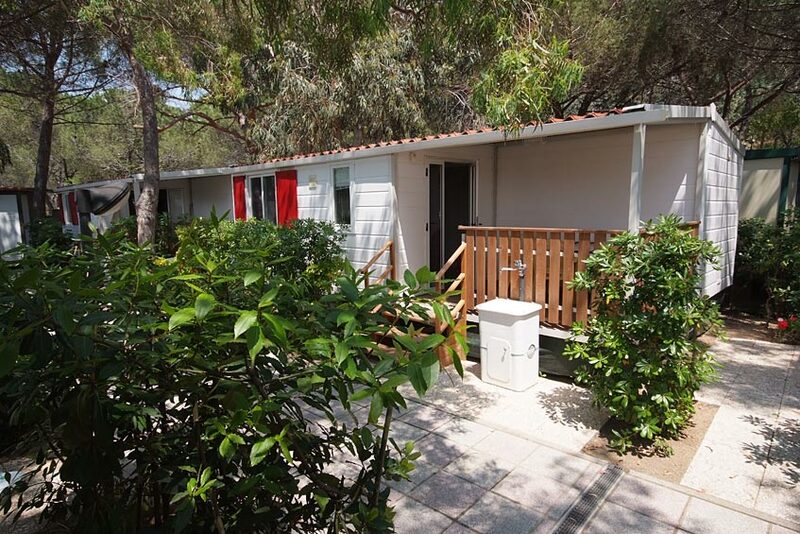 The actual campsite is just off the pine wood, on the right of the Fosso (ditch) della Pila - which is almost always dry - where the beach comes to an end; some of the bungalows are also in this part of the campsite, while the others are on the opposite side just a few metres away. 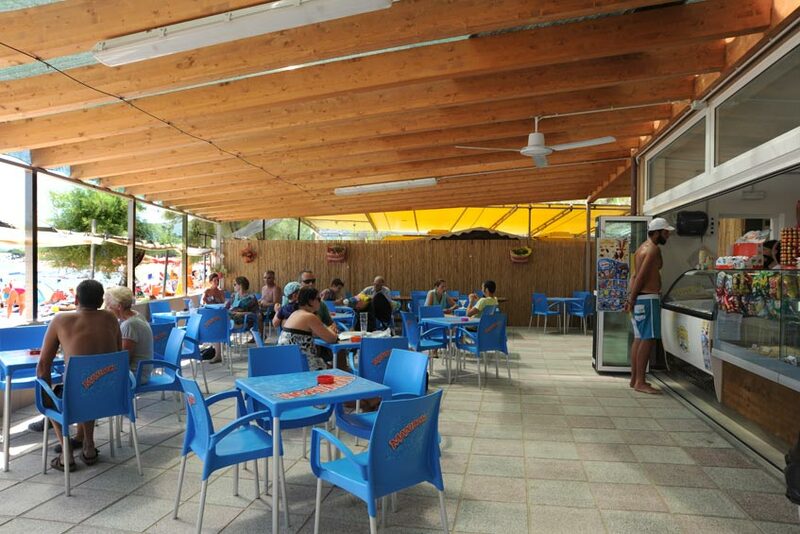 Guests have full use of the bar on the beach, the small play park for children, free Wi-Fi and bicycles - while available - for short distances. 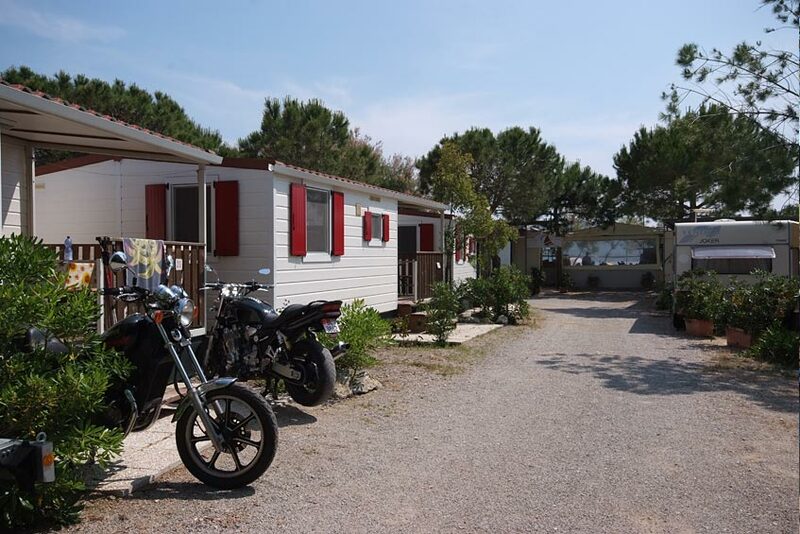 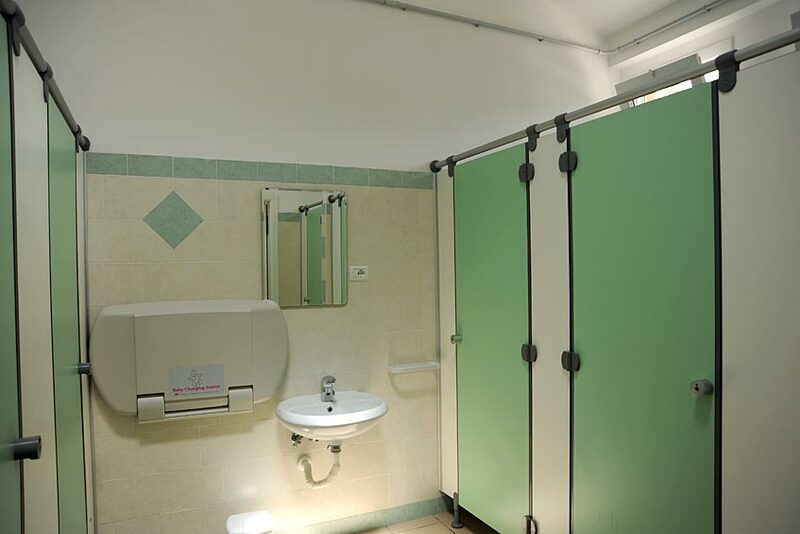 We are pleased to inform our guests in campers and caravans that the pipes for their water supply and for water discharge may remain connected for the entire stay. 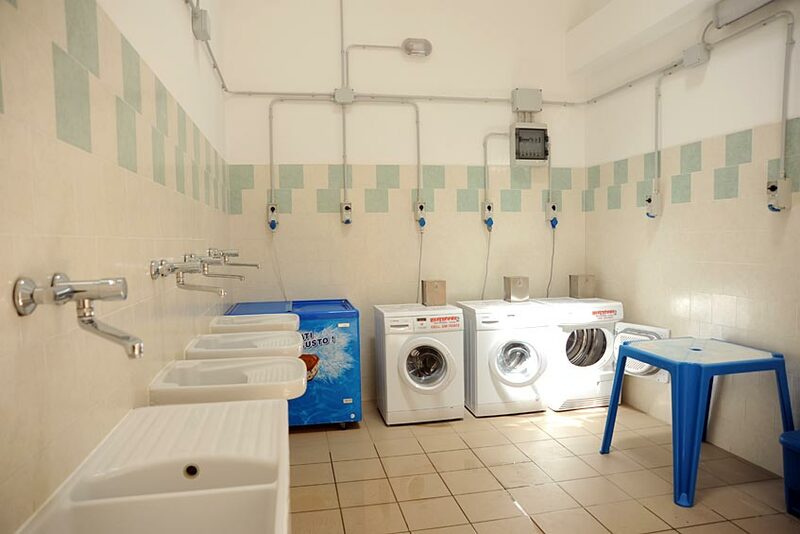 Direct access to the beach allows guests to make the most of all the facilities offered by the bathing establishments, such as the sailing schools, underwater swimming lessons and wharf and buoy rental.